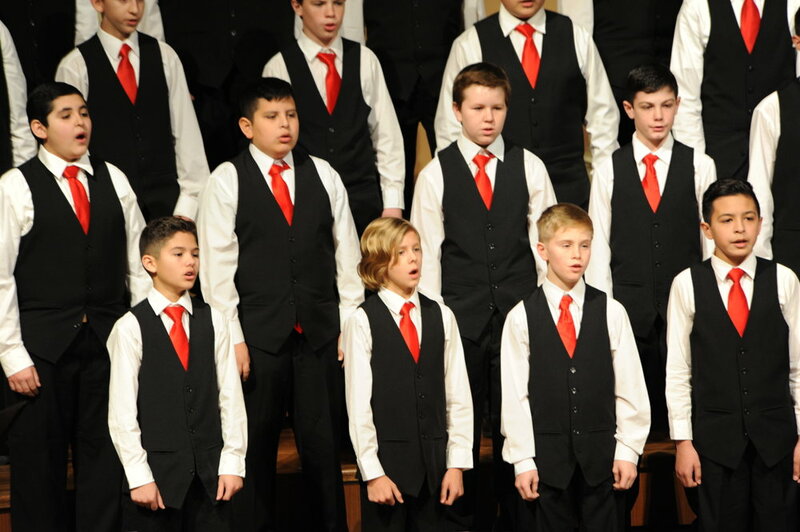 Each year, the Houston Chamber Choir invites three outstanding choirs from the Greater Houston area to participate in their annual invitational choral festival. The elementary, middle, and high school choir featured serve to acknowledge and encourage high standards for all school choirs. Now entering its 20th year, thousands of students from over 40 of the area's finest school choral programs have participated in Hear the Future. This free community concert gives audience members a chance to show their support and appreciation for the outstanding work being done by music educators and their talented singers. To celebrate this milestone anniversary, the Houston Chamber Choir expanded the festival to include a Saturday clinic for eight Title I high school choirs, led by Dr. Rick Bjella, who provided expert guidance, instruction, and encouragement to the high schools participating.